The Laidlaws began in the early nineteenth century as brass founders and venetian blind makers at Simon Square Edinburgh. Later they set up as iron founders at Milton Street Glasgow and they lived at fashionable addresses in that city. 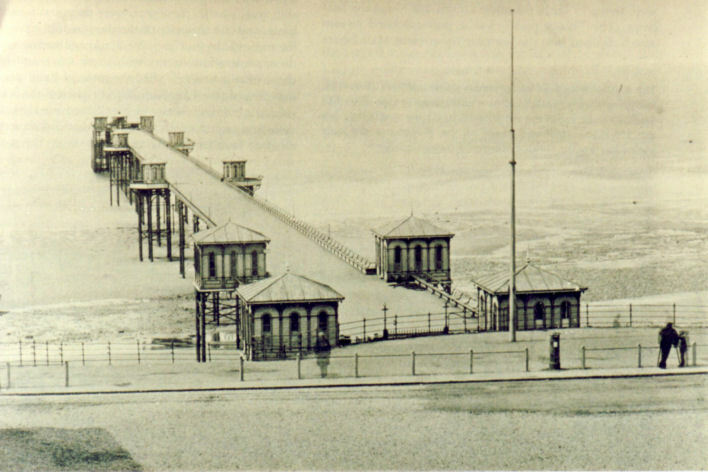 Their main claim to fame was that they manufactured all of the ornate ironwork used in the construction of many of the early Victorian pleasure piers around our coasts and the few surviving structures are at Hastings, Brighton West Pier and Blackpool North. They worked with the prestigious pier designer Eugenius Birch, a man much exalted in his contemporary circles. Other products from their foundry found their way around the world to parks and gardens as far away as Melbourne, Australia and central America. Laidlaw remained an on going family firm of iron founders right up until 2006 when their last business at Livingstone passed into American ownership. Descendants of what is an extremely large family still live in Edinburgh. Through the help of,Miss Goldie,at the Largs Museum, a bust of David Laidlaw senior was traced to the McLean Museum and Art Gallery, Greenock. The Laidlaws lived in a very large mansion called Beechwood at Wemyss Bay which has been recently demolished. *The researcher, Martyn Webster, belongs to the National Piers Society and has been recording the history of the Laidlaw/Birch pier at Deal in Kent from its completion in 1864 until its destruction by acts of war in 1940.This pier was a supreme example of its kind and was built on iron piles which actually screwed into the seabed according to a Eugenius Birch patent. 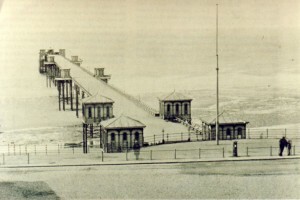 The Laidlaw family actually owned, managed and ran Deal Pier between 1864 until 1920 when it was bought from them at a cost of £12,000 by Deal Borough Council. 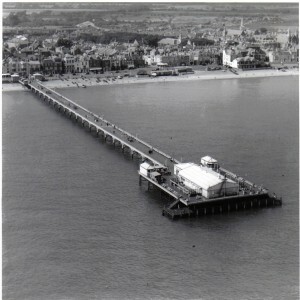 The extensive file on the Laidlaw ownership of this pier is deposited at the Scottish National Archives in Edinburgh as it was a Scottish registered company, the Deal and Walmer Pier Company. 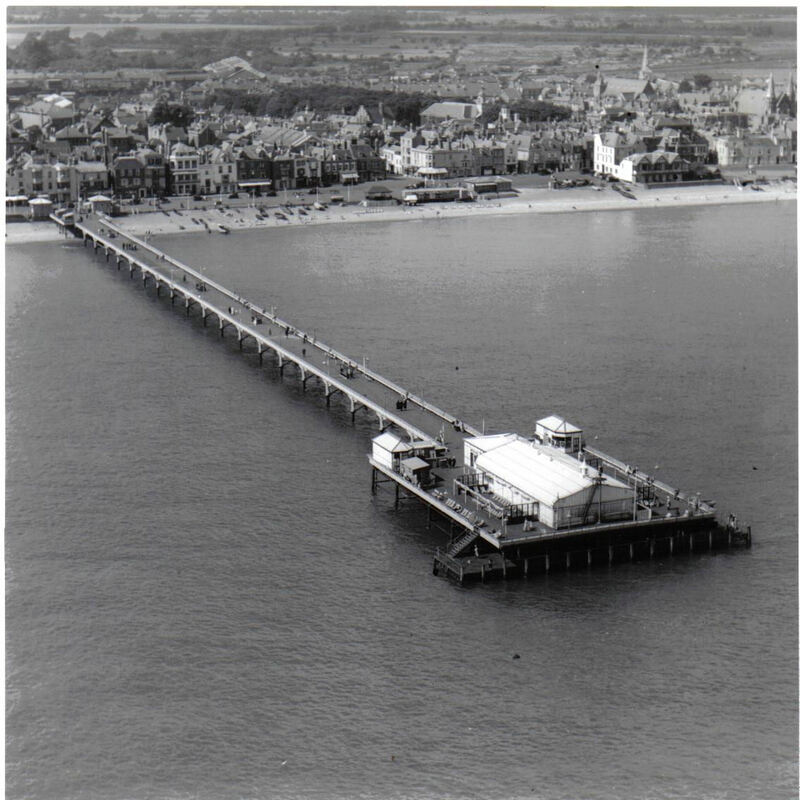 A most unusual and extraordinary state of affairs by any standards – a pier on the English south coast built, owned and run by a Scottish registered company whose managing directors were all members of the same family. The dossier of papers on this subject will be donated by Mr Martyn Webster to a suitable institution in Scotland.